Two months before the outbreak of World War I and in the space of ten days, the Greek population along the coast of Asia Minor is forced to abandon their homes and property and seek refuge in Greece, following unprovoked attacks by groups of Tsetes (Turkish irregulars). At a period of political and diplomatic troubles, this pogrom did not have the impact one would expect. At Old Phocaea in Asia Minor, the French archaeologist Felix Sartiaux and his three assistants are carrying out excavations in search of Ancient Phocaea, the metropolis of the city of Marseille. The events that took place not only made them witnesses of the unprovoked attack but, by placing their own lives at danger, they managed to save many Greeks and help them escape. Felix Sartiaux witnessed the entire 24-hour pogrom, took photographs, recorded the testimonies of foreigners from other towns and villages and sends reports to all overseas forces, asking for help and vindication. He was afraid that events would be overtaken by the historic developments that followed. Indeed, this first persecution of the Greeks from the coast of Asia Minor in 1914 remained, for many years, an event unknown to most of us. World War I, the later campaign of the Greek army and the destruction of Smyrna in 1922, caused the annihilation of the Greek population from the area of the ancient Ionian colonies in 1914 to fall into oblivion. Felix Sartiaux’s eye-witness account and his constant efforts to sensitize Europe, surfaced again in 2005 following the discovery of his photographic archive by the photography historian Charis Giakoumis in Paris. 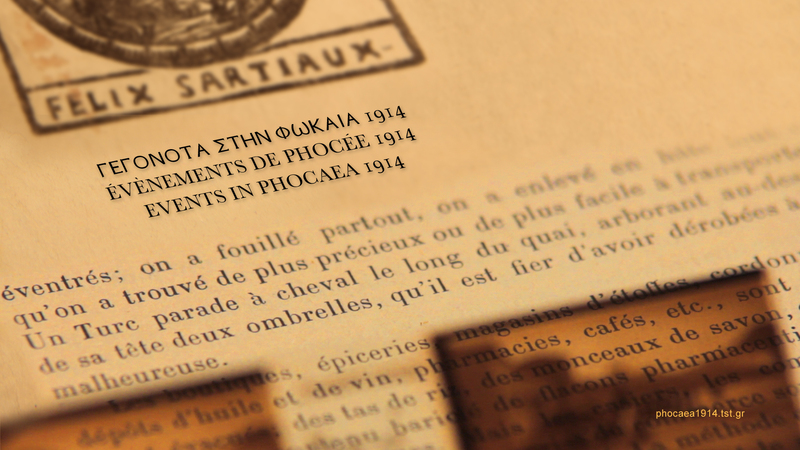 In the documentary entitled “Events in Phocaea 1914” we present Felix Sartiaux’s efforts by exploring the events of the period and follow the course of a downtrodden people who were violently uprooted and became refugees in 1914 and again in 1922. 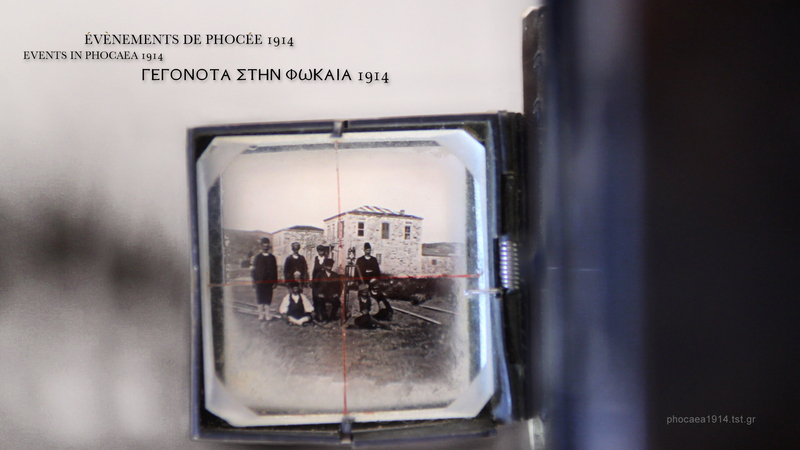 Through interviews with historians, experts and Phocaean descendants and the use of Felix Sartiaux’s photographs and testimony, we aim to create a historical documentary that will honour Sartiaux’s memory and offer the descendants of the refugees historical documentation of the events, 100 years on. We are asking for your support to follow the thread of history through Greece, Asia Minor and France and complete the production of this project.